Once launched, TESS will scan the sky with four wide-field astronomical cameras, searching for periodic dips in the brightness of more than 200,000 of the nearest and brightest stars. 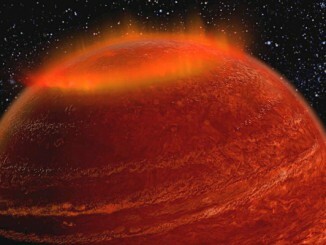 The dimming is a tell-tale sign of a planet passing in front of the star. The spacecraft arrived at the Florida launch base Monday after a truck shipment from its Orbital ATK factory in Dulles, Virginia. Engineers and technicians will prep TESS for launch inside the Payload Hazardous Servicing Facility at Kennedy, the same clean room used by NASA’s Cassini, New Horizons, Mars rovers, OSIRIS-REx and numerous other missions before their launches. TESS was scheduled to launch no earlier than March 20 from Cape Canaveral, but NASA announced Thursday a new target launch date of no earlier than April 16. That launch date is pending approval from the U.S. Air Force’s Eastern Range, which provides tracking, communications and safety support for all rocket missions from Cape Canaveral. 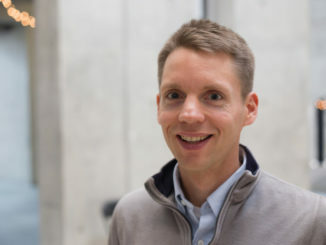 Chuck Dovale, deputy manager of NASA’s Launch Services Program at Kennedy, said in a Jan. 31 interview that TESS will fly aboard a newly-manufactured “Block 4” version of SpaceX’s Falcon 9 rocket. SpaceX is phasing out that configuration later this year, once the upgraded “Block 5” Falcon 9 rocket begins flying. The planet-hunting telescope is set to become the first NASA science mission to launch on a SpaceX Falcon 9 rocket from Florida. SpaceX’s commercial resupply missions to the International Space Station are managed under a different program, and the last Falcon 9 flight with oversight from NASA’s Launch Services Program occurred in 2016 from Vandenberg Air Force Base, California. Mission officials said TESS is currently expected to launch from Cape Canaveral’s Complex 40 launch pad, one of two launch sites operated by SpaceX at the Florida spaceport. But SpaceX has the option of reassigning the launch to nearby pad 39A at the Kennedy Space Center. NASA has already approved the use of previously-flown Falcon 9 rocket boosters for a cargo launch to the International Space Station, and Dovale said the agency’s engineers are in the process of certifying reused rockets for launches of more costly scientific missions, including telescopes like TESS and interplanetary probes. TESS will launch into an egg-shaped preliminary orbit stretching as far as 155,000 miles (250,000 kilometres) from Earth, around 60 percent of the distance to the Moon. Once deployed from the Falcon 9’s second stage, the roughly 815-pound (370-kilogramme) spacecraft will fire thrusters to boost the farthest arc of its orbit to intercept the Moon. TESS will swing by the moon, using lunar gravity to slingshot toward the mission’s operating orbit. A final major maneuver will steer the satellite on a path taking it around the planet once every two weeks in a 2:1 resonance with the moon, with distances ranging between 67,000 miles (108,000 kilometres) and 233,000 miles (376,000 kilometres) from Earth. It will take around two months for TESS to settle into its unusual orbit and complete post-launch testing. Then scientists will press the observatory into a two-year mission searching for exoplanets — worlds orbiting other stars. 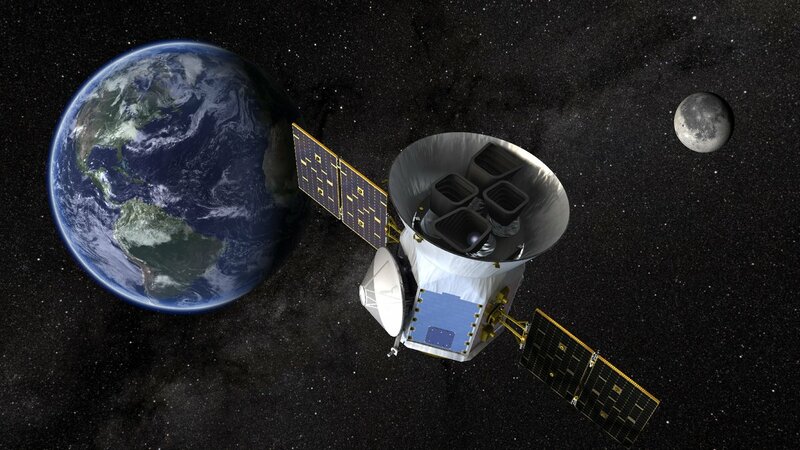 TESS’s cameras, developed by MIT’s Kavli Institute for Astrophysics and Space Research and the MIT Lincoln Laboratory, will spend most of each orbit observing stars. When the satellite nears perigee, its nearest point to the Earth roughly three times farther than the geostationary belt, TESS will downlink science data through a Ka-band antenna. Scientists hope to find thousands of exoplanets with TESS, including some rocky worlds the size of Earth. TESS will identify prime targets for follow-up observations by the James Webb Space Telescope set for launch next year. Webb’s cameras and spectrometers will be capable of measuring the chemical make-up of the planets’ atmospheres, telling astronomers which of the worlds might be habitable. TESS follows NASA’s Kepler mission, launched in 2009, which continues surveying patches of the sky for exoplanet signatures. 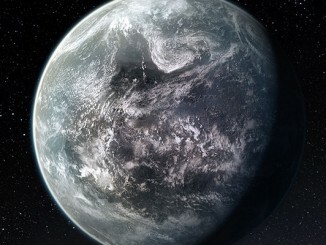 The new mission will look at a broader swath of the sky than Kepler. The unique orbital dynamics required to maneuver TESS into its final orbit will prevent the mission from launching on certain days. The launch windows will be determined primarily by the position of the moon, providing a series of potential launch dates, followed by a block of time in which the liftoff cannot occur. 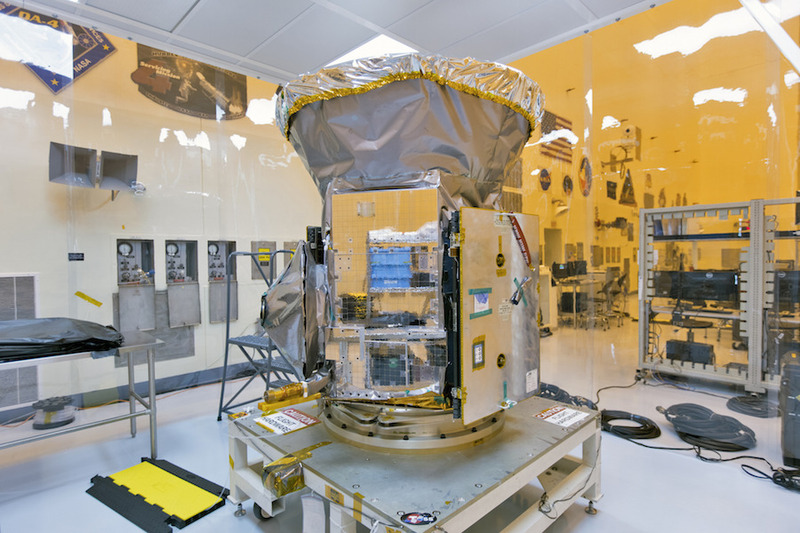 Engineers at Orbital ATK finished installing the science cameras on the TESS spacecraft last year, then put the satellite through a series of vibration, acoustic and thermal tests to ensure it will survive the extreme conditions of launch and spaceflight. “Our entire test campaign is behind us, so she’s all integrated,” Lockwood said in an interview with Spaceflight Now. With the spacecraft now in Florida, TESS engineers will once again check the satellite’s performance to ensure it weathered the journey from Virginia. Workers will extend the satellite’s solar panels and re-stow them, then fuel the spacecraft with approximately 100 pounds (45 kilogrammes) of hydrazine fuel for its main engine and control thrusters. TESS will be encapsulated inside the Falcon 9’s payload shroud before its transport to SpaceX’s rocket hangar at pad 40 for attachment to the two-stage launcher.